LUXX – A METAL ODYSSEY INTERVIEW! LUXX – Formed in the midst of the Silicon Valley, in the ever expansive and great State of California, there lies a Hard Rock Band in the wake… and they are known as LUXX. Already making their mark on the Rock Music scene, with their single Black Water, this is a band that is not going to duck away from socially conscious issues of the day. Black Water is a powerful song, not just for it’s Hard Rock driven sound, strong vocals and attitude, this song was written to bring awareness to the wildlife and environmental loss and damage brought on by the Gulf Coast BP oil spill. By purchasing Black Water for 99 cents, at the ReverbNation store and at itunes, fans can expect full net proceeds to go to charities helping to save the wildlife, environment and people that have been victimized by the worst oil spill in U.S. history. If you are going to buy that one Hard Rock MP3 today, seriously consider Black Water. This song is a substantial listen into the Hard and Heavy sound that LUXX is about… plus your 99 cents will be well spent towards the revitalization of the Gulf Coast. I bought my MP3 of Black Water on itunes and it served me right… this song ROCKS! Recently, lead vocalist Atara Gottschalk, guitarist David Szabados and drummer Scott Smith took the time to answer some questions for Metal Odyssey. The charities that will benefit from the sales of Black Water, being environmentally conscious, what fans can expect on their forthcoming debut album, the Rock influences that drive them and how did LUXX originate are all covered by these three musicians, whose sincerity is not just admirable, it is downright refreshing. Real Rock ‘N’ Roll hero’s take action… and make a difference. Stone: Describe the evolution of Luxx! Atara: I found these three guys on craigslist, we got together to jam and see what would happen, and pretty much musically we all clicked so we went from there! Scott: I guess to build on Atara’s comment, the roots of the band go back many years (we definitely won’t say HOW many!) to high school when Dave and I starting playing in bands together. After an eight year college hiatus, I returned to the Bay Area and we formed the first of a couple of bands together called Opener of Ways. After about a year or so, we disbanded, but reformed that group in a slightly different format for one gig six years ago. Since then, we really hadn’t collaborated again until now. In the gap between groups with Dave, however, I started playing in bands with Kevin, and we have been together as a rhythm section for the better part of six years. The formation of Luxx and the addition of Atara finds us infinitely better versed and musically mature, and we are really excited about the possibilities this particular group has to create some amazing music. Stone: What can fans expect from the upcoming LUXX debut album? 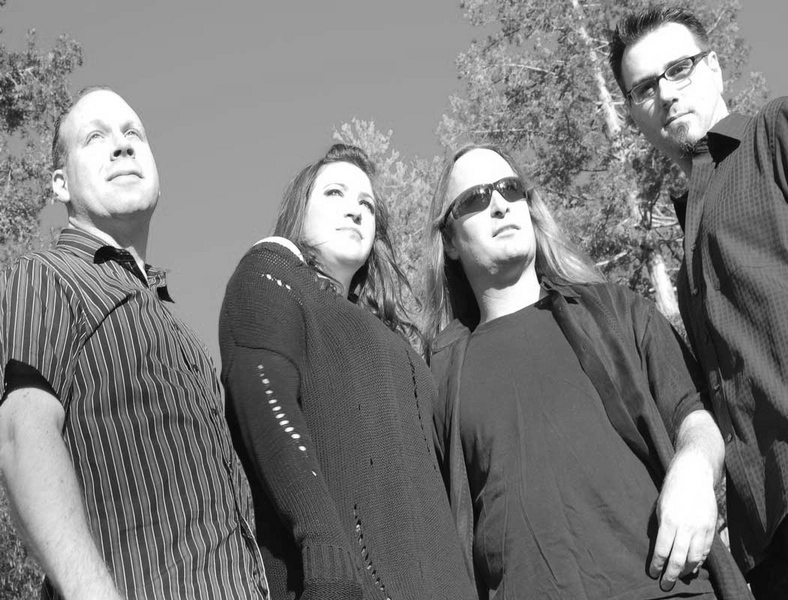 Atara: They can expect some serious hard rock songs with classic rock, blues and progressive rock influences infused together to create something familiar but new at the same time! Stone: Let’s talk about the new single, “Black Water”. All the net proceeds will go toward helping the impacted wildlife in the Gulf. Which charities have been selected by LUXX and why? Atara: We wanted to go with charities that worked with all aspects of the damage done by the oil spill. So we went with National Wildlife Foundation and the Audubon Society because both of these charities were distributing their help to not only clean up the wildlife impacted, but to also help people being impacted, as well and to try to preserve what they can so that the contamination does not harm and kill everything around the spill. Stone: “Black Water” is a powerful Hard Rock song with both lyrics and music. The lyrical message resonates loud and clear, kudos to LUXX! How did this great song get born? Atara: The oil spill had been on my mind and I wanted to write a song about it and express my anger towards the situation and how it is being handled down there or mishandled by our government and BP. The guys had this great tune they were jamming on that they had worked on before practice and it just clicked. I envisioned the song in my head immediately and saw exactly how I wanted to sing and what I wanted to write for the melody. I finished the song in 15 minutes! Sometimes you spend weeks on a song and other times you just know, and well I just knew with this one. David: The music came together pretty naturally as well. Funny thing is we were just jamming and warming up and Scott goes into a Bonham-sounding beat and in my head I was probably channeling a little bit of old-school Montrose and just started the riff and went from there. It was one of those fun moments and then Atara came in with her melodies and it was done. Atara: I hope! Yes you can!!!! I am glad that you are reading my vocals in that way because I am influenced by the best singers/wailers there have ever been in rock (in my opinion), Robert Plant, Pat Benatar, Axl Rose, Ann Wilson, Ella Fitzgerald (she is the greatest! ), and Freddie Mercury! I am a singer through and through and if I am NOT able to sing super high notes and blast your ears off while impressing you, then I feel I am failing myself as a musician and a rock worshiper. Stone: How important is it for LUXX to continually stay active in environmental issues and awareness? Atara: I am speaking for myself personally that it is the most important thing we as humans can do, and if you get the opportunity to actually have other people listen to what you have to say then you are doing the job right as a creative artist and a citizen of the world! I grew up in a house that always put the environment and humanity before our own selfish needs, and now it is my turn to do the same to whoever will listen! I am an avid fighter for environmental issues and living a “green” lifestyle as they call it, and have always been. I go around and unplug every charger that stays plugged in and get mad when people don’t turn off the lights and then leave their homes for a few hours. I mean seriously, the house does not need the lights on, it’s a house! TURN THEM OFF!!!! Such a waste…oh and don’t even get me started on our food industry! We would be here all day with that, but back to the point… YES it is very important that our band and every other artist out there that has the power of their voice, teach their fans about being a good citizen and helping to clean up our mistakes and make the future better for everyone, human and animal alike! some real cool Classic Rock influences going on within LUXX. Who are these influences? Atara: For me influences again are Led Zeppelin, Queen, Guns and Roses, Heart, King Crimson, Pink Floyd, early Genesis, Black Sabbath, Tool. David: We have similar influences for sure which is nice. I’m a child of the 1980s as well so I do have that era of rock and metal in my blood from the British (Judas Priest, Iron Maiden) wave to the U.S. based southern California groups (Van Halen, Dokken, Ratt, Motley Crue). I wouldn’t say that I aspire to stay playing in that style, but elements do come out from time to time. Definitely growing up during the shred era, there are many guitarists I admire and that list goes from fusion players like Frank Gambale to many of the rock stylists from George Lynch, Edward Van Halen, and Steve Vai. However, besides those and earlier classic rock and progressive rock influences Atara already listed, I do enjoy many of the contemporary groups as well from Muse, Queens of the Stone Age, Children of Bodom and many, many others. Certainly, there’s a lot of great music out there that I’m a fan of, both old and new! Scott: My influences, while similar, follow the path of most rock drummers of the 80s. I was, and am still, a huge Rush fan, and drew much of my early inspiration from Neil’s playing and his worldview, which came across in his lyrics. Nowadays, I have a vast set of influences including all the major rock gods, as well as some more eclectic players like Zakir Hussain (Indian Tabla player), Ravi Shankar (Sitar), Loreena Mckennitt (Celtic popstress) and many others. GO GET ‘EM LUXX AND ROCK STEADY! This entry was posted on August 11, 2010 at 12:05 am and is filed under Hard Rock, hard rock bands, hard rock music, heavy metal music, metal odyssey, Music, rock & roll, rock and roll, rock music, rock music news with tags black water song, gulf coast oil spill, hard rock bands 2010, hard rock music, hard rock songs 2010, independent rock bands, luxx hard rock band, luxx interview, luxx metal odyssey interview, luxx rock band, luxx song for gulf wildlife, melodic rock music, metal odyssey, Music, rock music, rock music news. You can follow any responses to this entry through the RSS 2.0 feed. You can leave a response, or trackback from your own site. 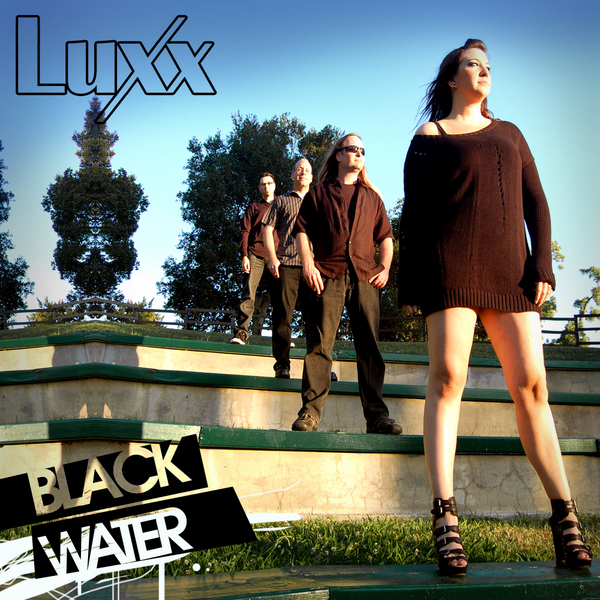 I stand behind LUXX with their being environmentally proactive through their creating “Black Water”. How can this song’s message, coupled with monies raised from it’s sale going to the charities provided in this interview, be frowned upon as a “political view”? Saving our Gulf Coast, it’s wildlife and ecosystem, while also providing help to the people that have been affected by this enivironmental disaster… is NOT a partisan or political action for that matter. It’s about having heart and concern for our fellow man and the wildlife that we share this planet with. LUXX can take a bow… for I’m applauding their Rockin’ and rigteous effort to make a difference for the Gulf Coast region. Now… do yourself and the charities a favor… purchase “Black Water” today. The 99 cents you spend on this great song will HELP those charities and ROCK you at the same time. Plus… I turn off the lights when I’m not home or in the room either. If Motel 6 turned off all their lights… people would be too damn scared to go there. Gee Metal whiz. I appreciate the comments and support. Politically, we’re a diverse band actually here in views/interests if we were to look at things “issue by issue”… But one subject we definitely agree on and share a passion for is with helping the wildlife and cleanup efforts. It seems right now that the media coverage has slowed on the topic since the well is no longer actively leaking out approximately 40,000 barrels of oil (some estimates were much higher at times) per day. But what remains is the damage – and this will take MANY years and dollars to complete. It was a devastating tragedy. We hope that people can help by downloading “Black Water” and that they enjoy the tune. We can’t wait to complete the album and are excited about its progress. But back to the point, and most importantly, whether one chooses to download or not, at least consider helping the effort in some way – even with a direct donation to those charities or another of your choice. Taking action is the point I’d like to encourage. Thanks everyone for the time reading this, and thank you again Stone, for the interview opportunity!